I've been here a few times but there are other restaurants that participate in this event and for me to go again is because a friend of mine chose it. This is when company takes priority over food. 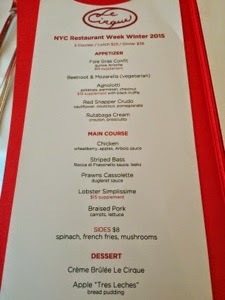 The selection to choose from the special deal were all not my favorite (Other restaurants put their best foot forward). If I stick to the choices for the set deal, the more I won't enjoy. So, you guessed right, I opted for the almost twice the price of the special deal less $1. This way, I get my appetizer of choice and dessert of choice. This is not the menu I chose. And the appetizer below was an extra cost our friend ordered from the Restaurant Week Menu. 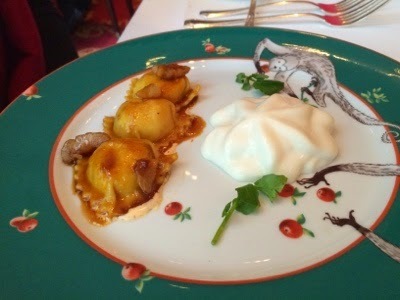 Above was one of the appetizers served with "foamed" sauce. 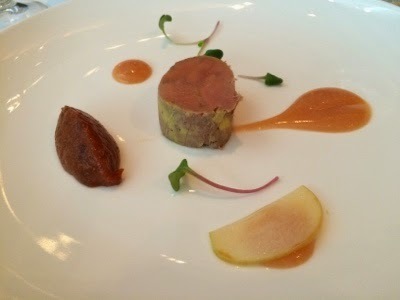 I ordered the house Foie Gras with a puree and slice of pear. 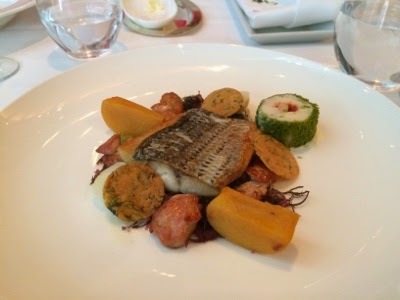 Seabass for my main course which I think was also in the menu about 4 years ago is what I picked again. It's funny that I did mention this to my sister prior to my being at this restaurant; only to actually get served the same fish! Away from the set menu for Restaurant Week, I got a bigger Foie gras and my choice of dessert. 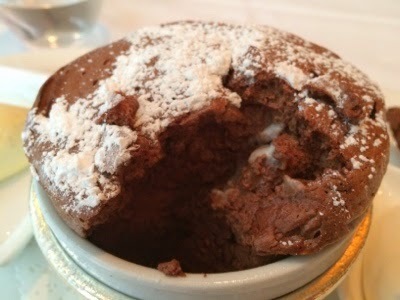 And my choice was hot Chocolate Souffle! The souffle saved my meal! I think this place is a little over-rated. 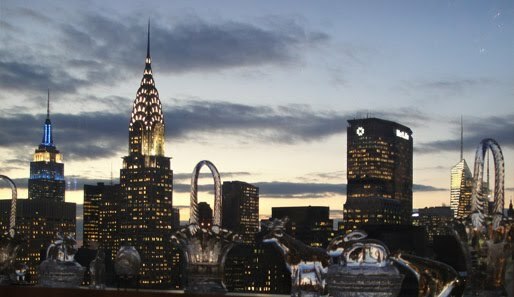 I personally prefer some others that participate at Restaurant Week. Restaurants should actually put out their best that could Wow me for the money. I was expecting a more haute cuisine than what I experienced. And I knew this would be my experience as before. And that means not very impressive.